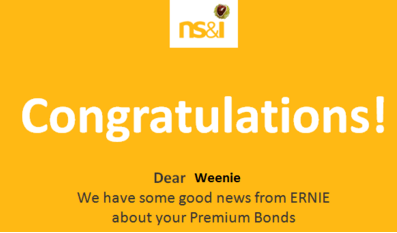 Unbelievable yes, but I got another premium bond win, my second this year! Yay! Ok, so I only won £25 but prior to my win in February, I hadn’t won anything in years! It could well be just a massive coincidence that I’ve started winning ever since I’ve been regularly buying more premium bonds – my holding is tiny though, only £2,135 and according to this premium bond calculator, if I have ‘average luck’, I would expect to win just £25 over a year. Let’s hope I’ll be VERY lucky at some point in the future! In the meantime, I will chuck my £25 into the investment pot. As premium bonds carry no risk (apart from erosion due to inflation) I will continue with my small top ups. I don’t have a lot of cash in my total portfolio so this forms part of that allocation. Time for another home brew update! 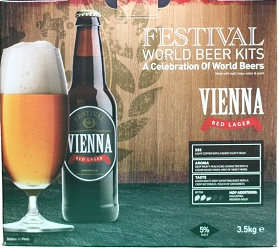 The brew I made this time came from a Vienna Red Lager kit. After brewing cider last time round, I was really looking forward to making my brew of choice! I started this one at the beginning of October, the instructions were easy to follow, although there was no info on how much sugar was needed when bottling, so I just went for my usual 1.5 teaspoons/bottle, which turned out to be right! I managed to get 43 bottles (just over 21 litres/37 pints) and it’s another free brew as the kit was a birthday present! 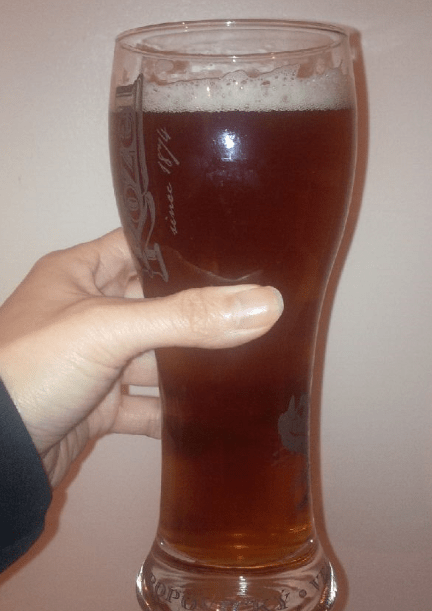 After around 1.5 months of conditioning, the beer is fairly clear – the red colour makes it look like an ale but its flavour is a little sharper, a tangy taste. I’ve managed to get this one to pour with a semi-decent head too, so I’m very happy! Alcohol strength is around 4.3% ABV (although the box said 5% ABV, I couldn’t get it to that level) but after swigging a couple of bottles, it feels a lot stronger, haha! I have got a kit waiting that I was thinking of doing as a winter warmer. Space is the factor though (30+ bottles of lager and around a dozen of cider still, all sitting in my garage!) so I’ll probably put it on in the new year, unless that lot gets drunk quickly over the next couple of weeks! This entry was posted in Home Brewing, premium bonds by weenie. Bookmark the permalink. This blog documents and tracks my own personal savings, investments and goals, based on Excel spreadsheets which I cobbled together without any professional financial advice nor with any real financial expertise, bar what I've learnt from the internet and newspapers. I therefore heartily recommend that people do NOT follow or copy any of my decisions on this blog and if they choose to do so without consulting a financial advisor, they do so at their own risk. I shall not be held responsible or liable should anyone choose to ignore the above recommendation. This blog may contain third-party advertisements (which do not necessarily represent this blog’s views or opinions) and also affiliate links - clicking on such links and adverts is optional but the small income generated goes towards supporting this website. Happy saving and investing!